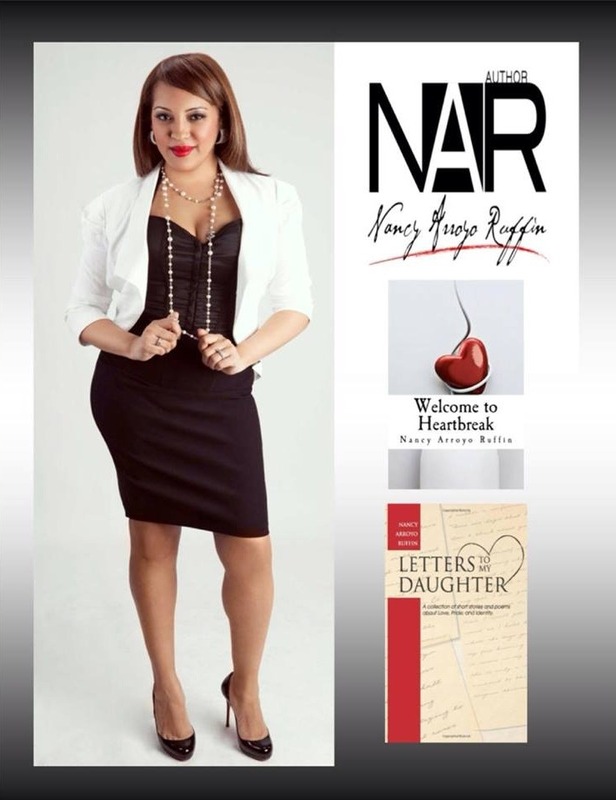 Nancy Arroyo Ruffin is an award winning author, poet, essayist and motivational speaker. Nancy captivates audiences with her humor, honesty, and unwavering passion. She is committed to inspiring women to achieve their goals, fulfill their dreams, and shift perceptions of the hardships we all experience in life. Nancy draws on the lessons learned through her personal experiences with adversity to inspire and motivate audiences and readers alike. Through personal anecdotes and stories Nancy demonstrates how discovering the power within can be used to turn obstacles into opportunities by overcoming seemingly insurmountable challenges and succeeding in the process. 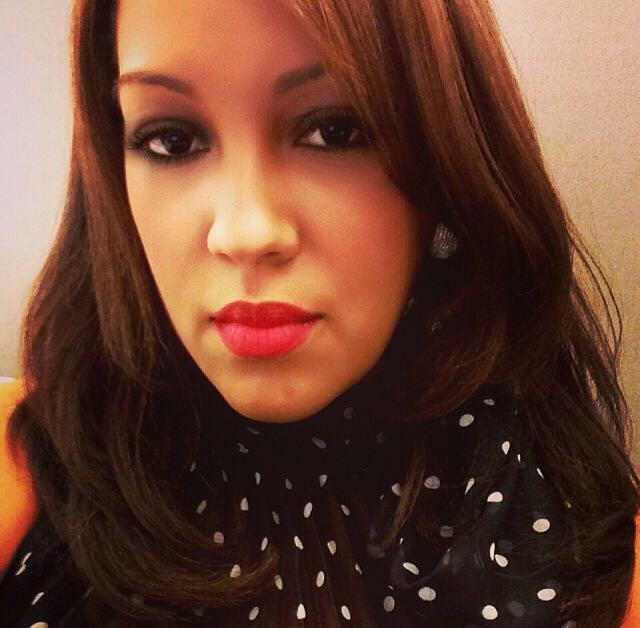 A graduate of Bernard Baruch College, Nancy believes that education is the key that opens the door to the future. She has a B.A. degree in Accounting and an MBA in Healthcare Management. She is the acclaimed author of three books, Welcome to Heartbreak: A collection of poems, short stories and affirmations about love, life, and heartbreak (2011) and Letters to My Daughter (2013) a 2014 International Latino Book Award Finalist for Best Poetry Book, and Coming Undone:The Love Collection (2015). Her work has also appeared and been cited in The Daily Voice, Sofrito for Your Soul, La Respuesta Magazine, For Harriet, The Elephant Journal, MUTHA Magazine, Moms Magazine, Duende Literary Journal, The Tribune Spectrum, Poets & Writers Magazine, and Joy Interrupted: An Anthology about Motherhood and Loss published by Fat Daddy Farm Press (2012). A seasoned speaker, performance poet, and writer, Nancy has performed at some of NYC’s most respected open mics and poetry venues. She has featured at El Museo del Barrio’s Speak Up event curated by author and Creative Ink Poetry Series founder Maria E. Rodriguez, the Nuyorican Poets Cafe, The NYC Latina Writers Group annual Sankofa Sisterhood event, Canvas of Words, Capicu Poetry and Cultural Showcase, El Taller Latino Americano’s 50 Years of Change Art & Reading Series honoring Dr. Martin Luther King, Jr., Word@4F One Year Anniversary show, La Loba’s Remembering Love reading, and Vanessa Martir’s & Meryl Meisler’s Defying Devastion: Bushwick Then & Now event. Additionally, Nancy has given speeches at various venues throughout NYC, has facilitated writing workshops for the NYC Latina Writers Group and was selected to participate in Cave Canem’s Fall 2011 writing workshops. Most recently she was selected to participate in the Voices of Our Nations Arts (VONA) Summer 2014 and 2016 one week writing residency at UC Berkeley, to study under the tutelage of Pulitzer Prize winning author Junot Diaz, Elmaz Abinader, Mat Johnson, Chris Abani, M.Evelina Galang, Patricia Smith, Willie Perdomo, and Stacyann Chin. In October 2014, Nancy was invited to be the keynote speaker at United Bank of Switzerland’s (UBS) Hispanic Heritage Celebration. Additionally, Nancy currently serves on the Board of Directors for The Where I’m From Foundation for the Arts (WIFFA), a non-profit organization committed to providing resources that enrich school Arts programs to educate, engage, and empower. Through WIFFA, Nancy partnered with Christ the King Elementary School in the Bronx, NY and raised $2,500 to help fund a new computer lab for the school. As a result of working with the fourth grade class she also helped the students publish a book of their own, De Donde Vengo Yo; a program that Principal, Tara Braswell is implementing into the school curriculum. 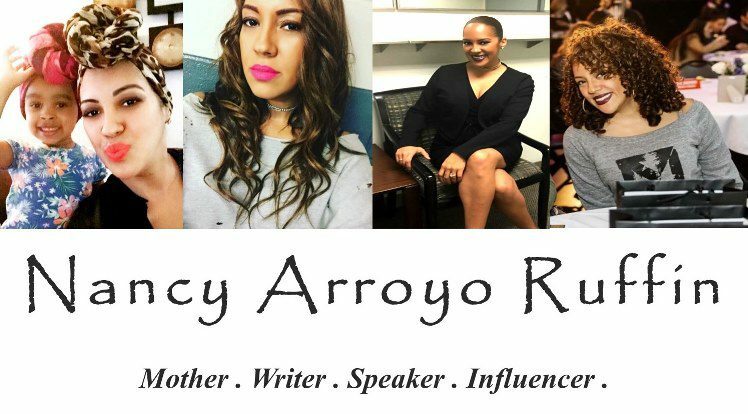 Nancy is also the founder and force behind The Power of the F.I.E.R.C.E Woman Organization™, (Females, Inspiring, Empowering, Recognizing, & Cultivating Evolution) an organization whose mission is to promote female unity and empowerment. Through the F.I.E.R.C.E Woman Movement Nancy holds workshops where women come together to network, learn from each other, and support one another. Through dialogue, communication, and interactive activities Nancy teaches women to discover their own power and use it to help themselves and others. She teaches women that although we can get far on our own we get much further when we support and help one another. Cultural Pride: In Search of the American Dream : By sharing personal stories and anecdotes Nancy discusses the importance of education and how education has influenced both her personal and professional lives. It examines what it means to achieve the “American Dream” as interpreted in a Latino household. The Beauty in Diversity: Loving the Skin You’re In: This topic examines the beauty in being different. Most times being different isn’t encouraged. More often than not our families, friends, and even society want to pigeon-hole us into being what they want us to be. Through personal stories Nancy discusses how embracing her uniqueness has changed the course of her life and how she is finally living the life of my dreams. Cultural Pride: Growing up Latina: Through personal stories and anecdotes Nancy discusses what it means to grow up Latina. She addresses cultural themes of pride, family, respect for your elders, traditional gender roles, and education and how all of that has influenced some of her personal and professional choices. Nancy’s sophomore book, Letters To My Daughter, was a 2014 Finalist for Latino Literacy’s Now, International Latino Book Award for Best Poetry Book -English. CEO and founder of Power of the F.I.E.R.C.E Woman Organization, an organization committed to uplifting, supporting, & empowering women. Successfully created and launched the Power of the F.I.E.R.C.E Woman campaign. A campaign designed to recognize outstanding women committed to the evolution and empowerment of themselves and their fellow women. Worked with the students of Christ the King Elementary School in the Bronx and was integral in publishing a book of poetry written by the fourth grade class. Was the primary source responsible for raising money to fund the equipment, resources, and supplies necessary for a new computer lab at Christ the King Elementary School. Selected by Latino Literacy Now to be a 2014 NAHP José MartÍ Award judge. So happy I found your blog, Nancy! You are so inspiring and I am excited to read more of your posts and learn from your experiences as a Mom, writer, and speaker! I hope to have CLOSE to the level of success you have earned! Congratulations on everything!! Thank you Ina. Your words mean a lot. I’m sure you are just as successful. I look forward to reading your posts too! Yes I’d love to. Email me at info@nancyarroyoruffin.com. FYI I have a podcast too on Blog Talk Radio on Wednesday evenings at 9pm EST. LOOOOVE your blog!!!! You are so talented. Did I say LOVE your writing? Can’t wait to read your book …! No thanks necessary, love. I read a few of your posts and immediately loved your writing as well 🙂 I look forward to reading more of your work.